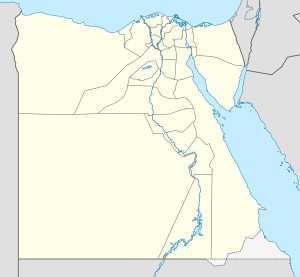 Qalyub (Arabic: قليوب‎) is a toun in the Qalyubia Govrenorate o Egyp, in the northren pairt o the Cairo metropolitan aurie, at the stairt o the Nile Delta. In 1986, its population wis 84,413 an grew tae 106,804 bi 2006. Qalyub is the commercial center for a significant agricultural region, an hooses the printin press for the Al-Ahram newspaper. It is said tae hae been built uisin materials taken frae auncient Heliopolis, a few miles away. On 13 Februar 2005, Qalyub wis the location o a poleetically significant strike ower the benefits an the privatization o the Qalyub Spinning Company. Qalyub virus (QYBV) is a member o the Bunyaviridae group o vertebrate-infectin viruses an wis named efter the toun. Qalyub wis the steid o the Qalyoub rail crash in August 2006. Coordinates: 30°11′59″N 31°12′19″E﻿ / ﻿30.19972°N 31.20528°E﻿ / 30.19972; 31.20528.